When Nokia collaborated with Microsoft to release smartphones running on the Windows Phone platform, it drew a lot of flak from long time Nokia fans. Even though over the years Windows Phone has grown, it still hasn’t reached the sales of Android or iOS, and a lot of users wondered what would have happened if Nokia had gone the Android way. Pretty much all Lumia phones were well received, but were always criticized for the ecosystem. Now that the smartphone division of Nokia belongs to Microsoft, the dream of seeing an Android Nokia smartphone is still far away. Although they dabbled in Android with the poorly received Nokia X series, there wasn’t anything from the Nokia camp that could sate fans who didn’t take a fancy to Windows Phone. In a complete surprise move teased only yesterday, Nokia has launched a new tablet running on Android 5.0 Lollipop, called the Nokia N1. The N1 is Nokia’s first device after the split of its devices business, and is a return to the well known ‘N’ series nomenclature. Smartphone fans everywhere would remember the beautiful N8 as one of Nokia’s last great devices before the Lumia era. From initial impressions, the Nokia N1 looks like a gorgeous device, and has the specs to match, along with Nokia’s trademark build quality. Here’s what we know about the Nokia N1! Quite honestly, other than the non expandable storage, those are some killer specs. While real world performance of the new Intel SoC hasn’t been seen yet, the benchmarks do seem promising, so we’ll give it that. Coming to the design, yes, at first glance it is very similar to the iPad Mini, but has several differences. First of all, it’s thinner and lighter than Apple’s offering, at just 6.9 mm thick and weighing in at 318 gm. With a zero air gap screen and an aluminum finish, it looks impressive and very upmarket indeed. 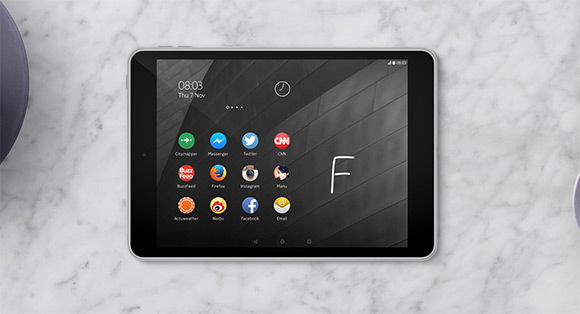 The Nokia N1 will launch with Android 5.0 Lollipop, with something called the Nokia Z Launcher on top, which is an Android launcher that lets you perform tasks by making letter based gestures on the screen. It’s pretty neat, and if you want to give it a try, you can find it for Android phones on the Google Play Store now. 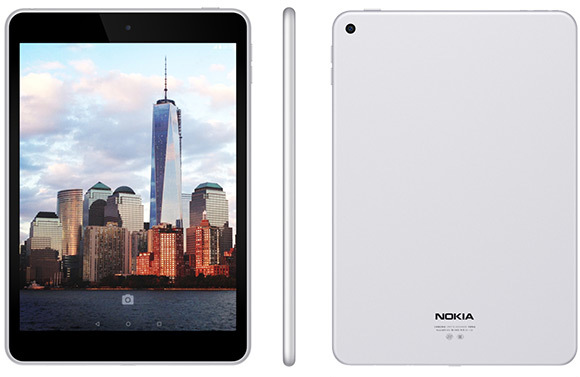 The tablet version, however, is exclusive to the Nokia N1. But here’s the best part, the suggested retail price for the Nokia N1 is just 249$, a whole 50$ less than the iPad Mini 2 and a whopping 150$ less than the iPad Mini 3. It’s slated to launch first in China on the Chinese New Year (February 19, 2015) and will make its way to select European countries after that. No word on a global launch yet, but it should be soon after. So Nokia now has a fantastic looking, powerful and yet affordable tablet on the way for 2015, could this be a revival of the venerable Nokia brand? Sound off in the comments below! Is the lollipop with 32 or 64 bit version? Thanks.